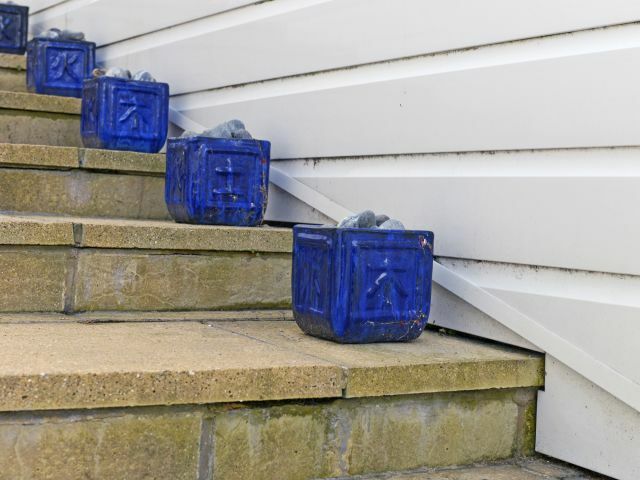 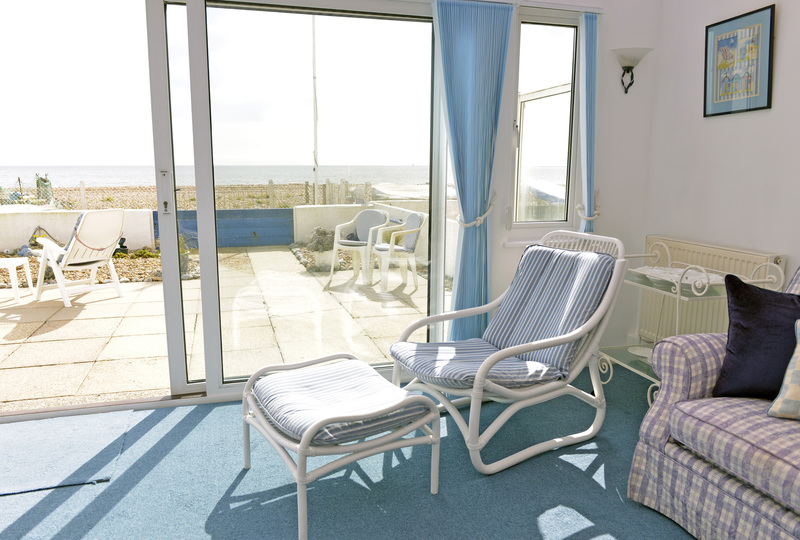 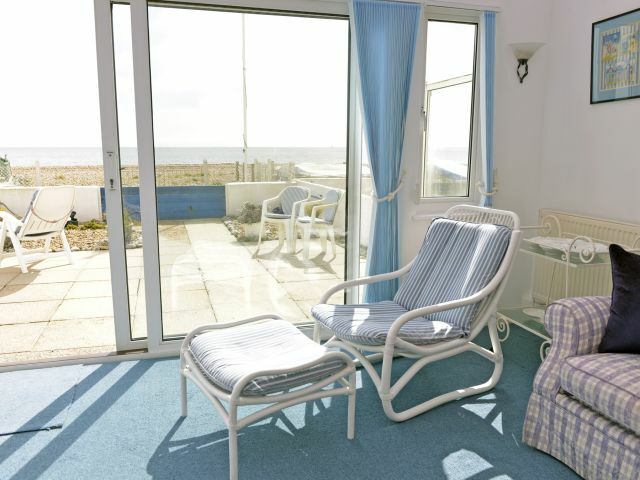 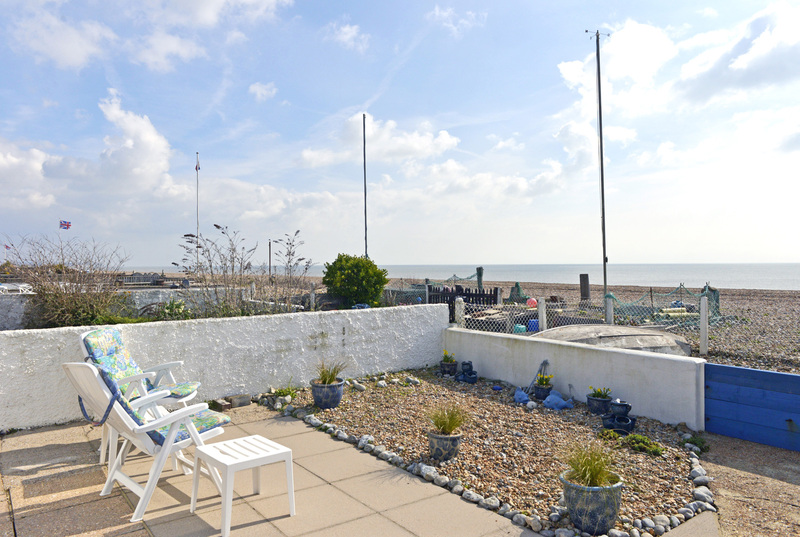 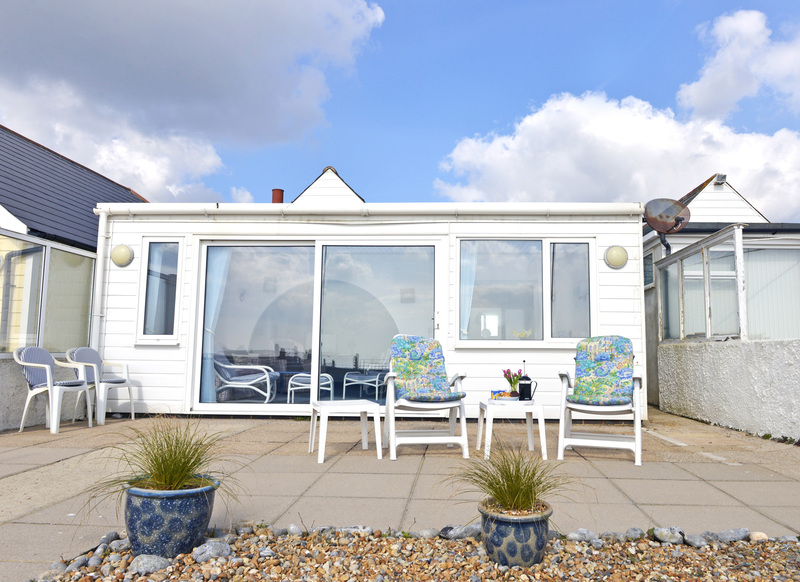 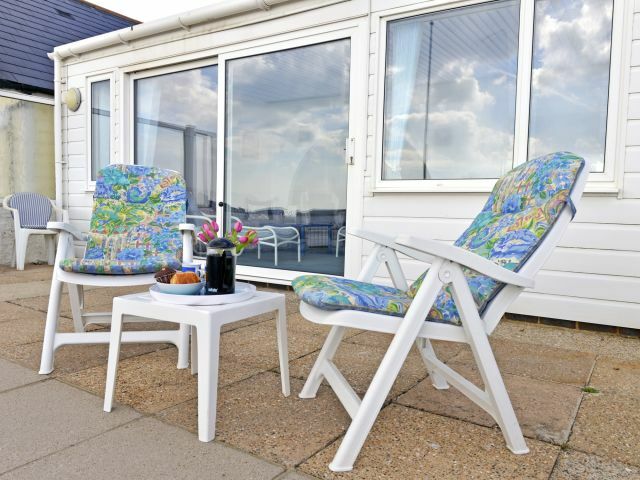 Beach Cottage is one of the best located holiday cottages Pevensey Bay – with a private garden leading directly onto the beach. 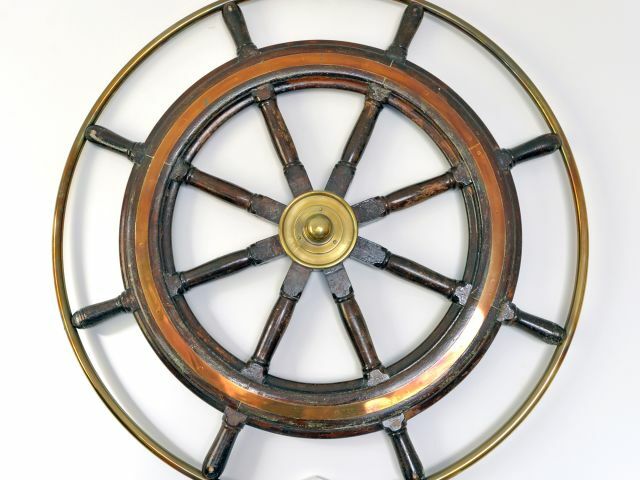 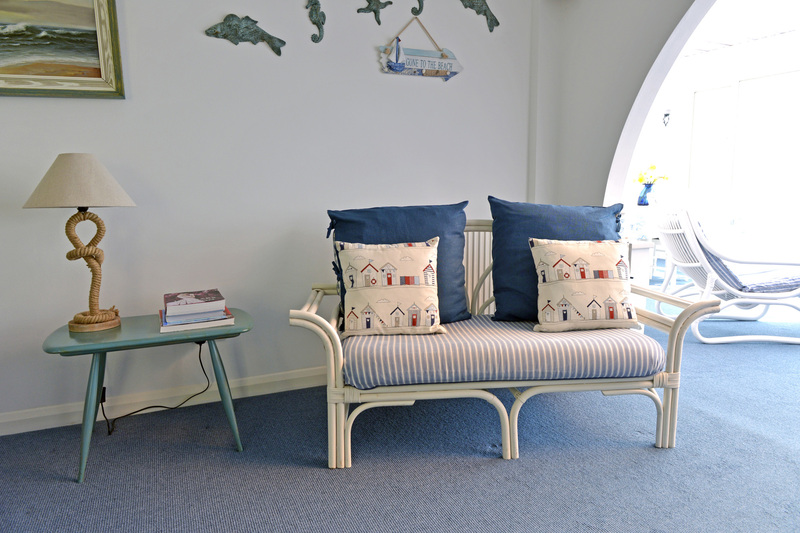 Take in the spectacular views from the sofa, private terrace and garden and watch the boats pass by and feel transported to another, tranquil world. 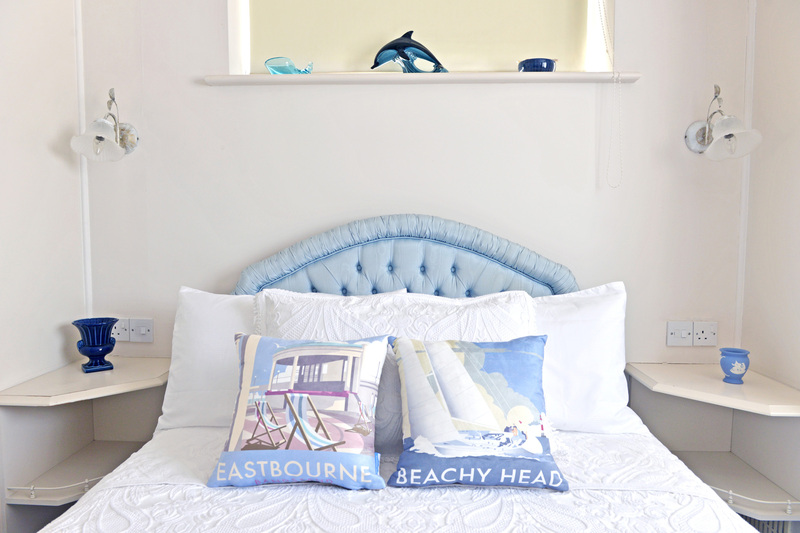 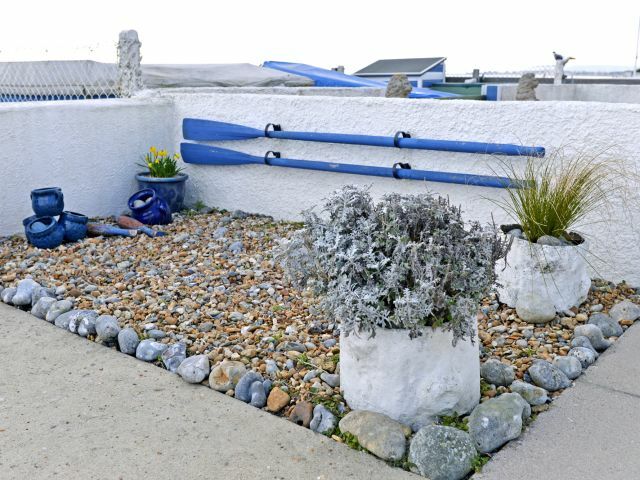 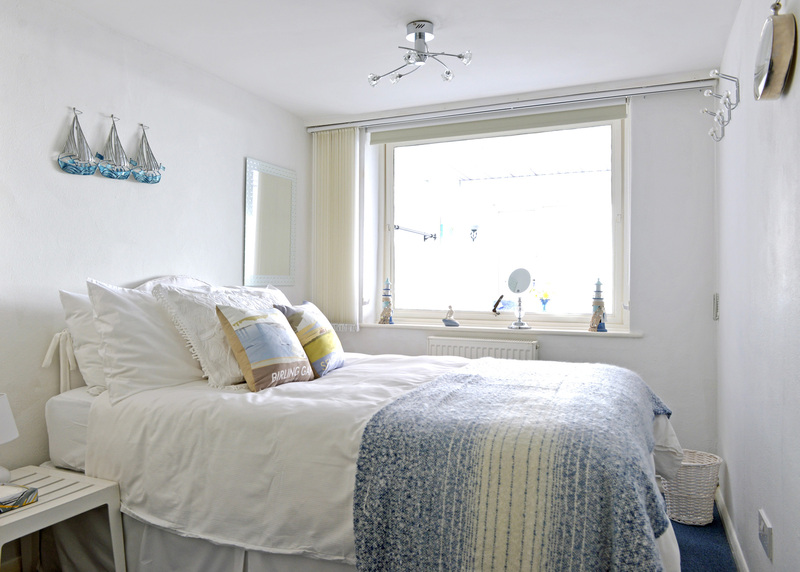 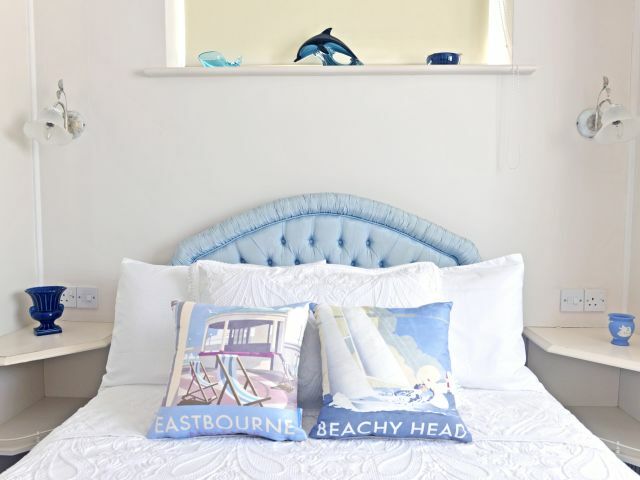 This holiday cottage provides cosy and traditional accommodation right by the sea, with two double bedrooms providing a wonderful base for up to four people, plus the option of a third bunk bedroom for larger families. 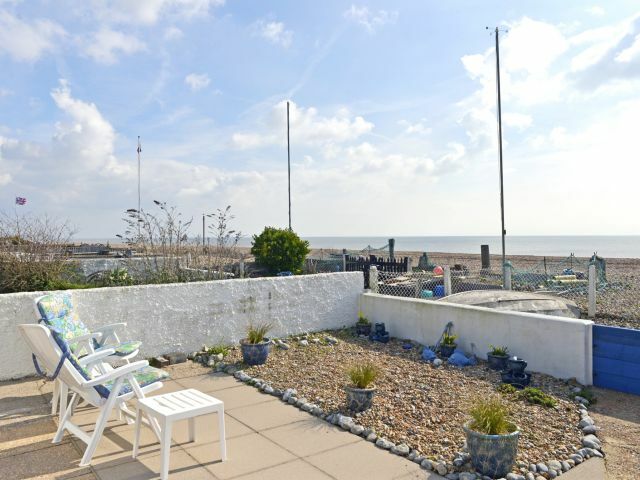 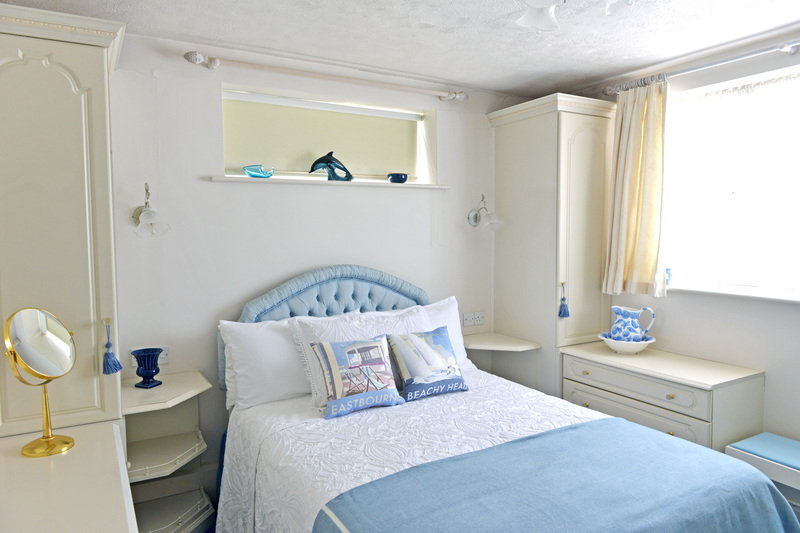 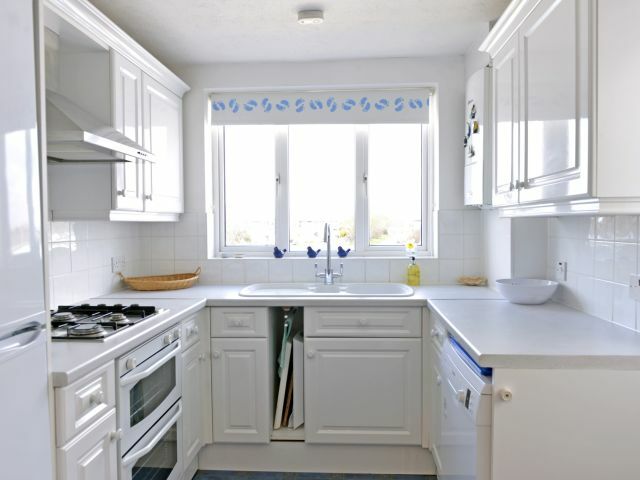 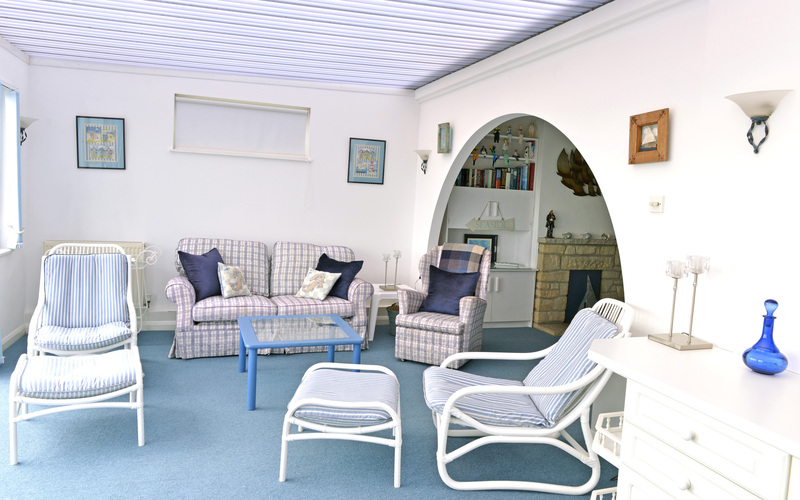 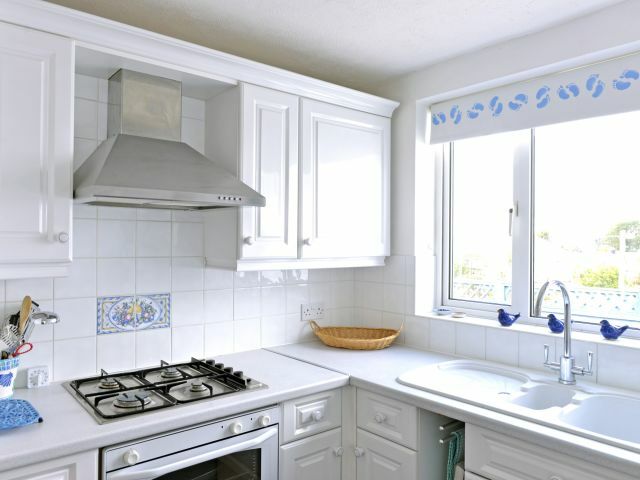 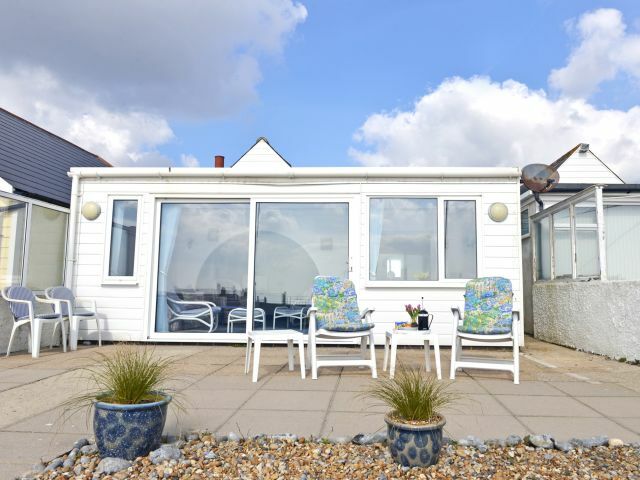 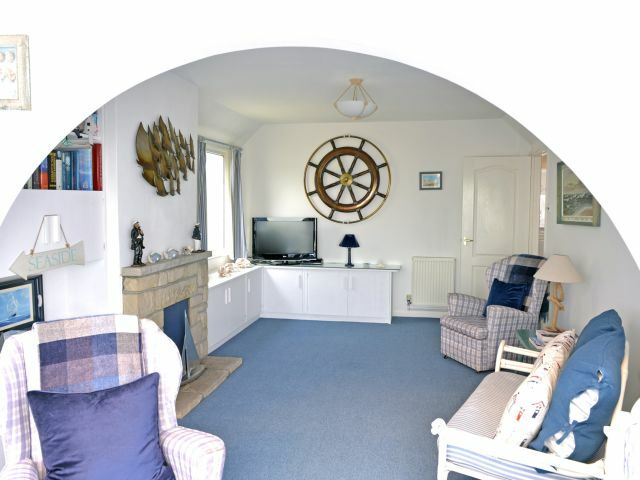 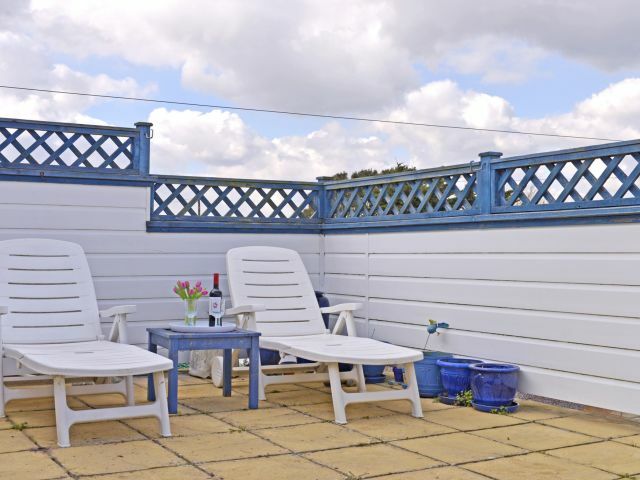 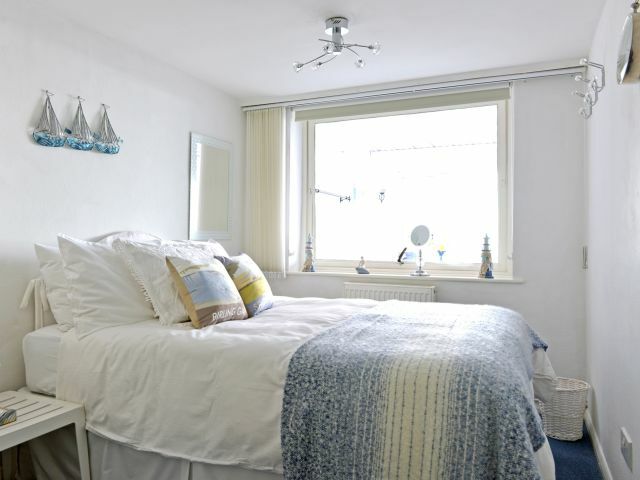 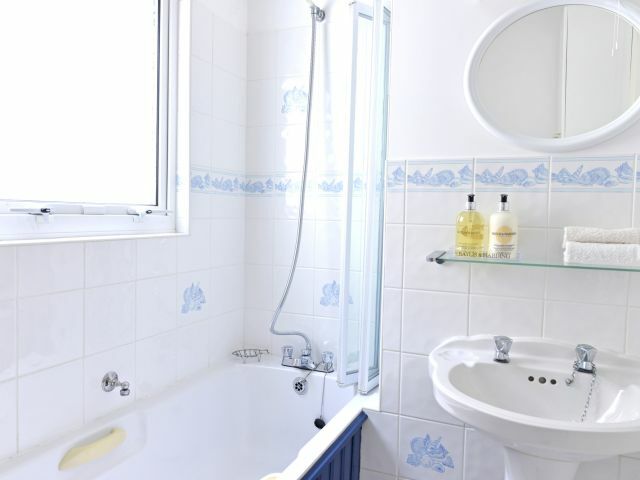 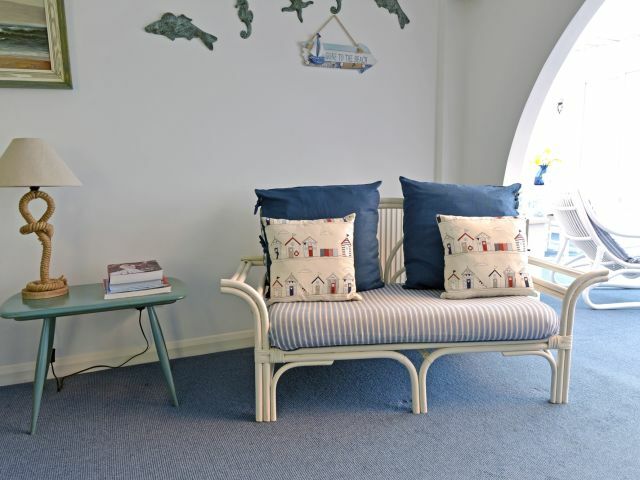 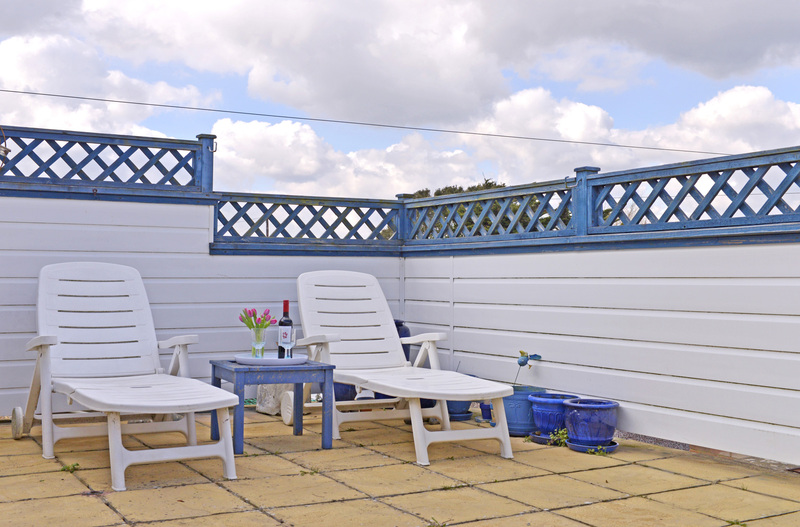 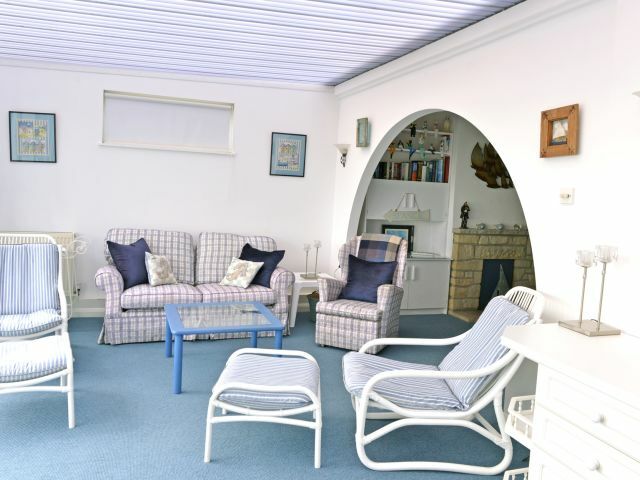 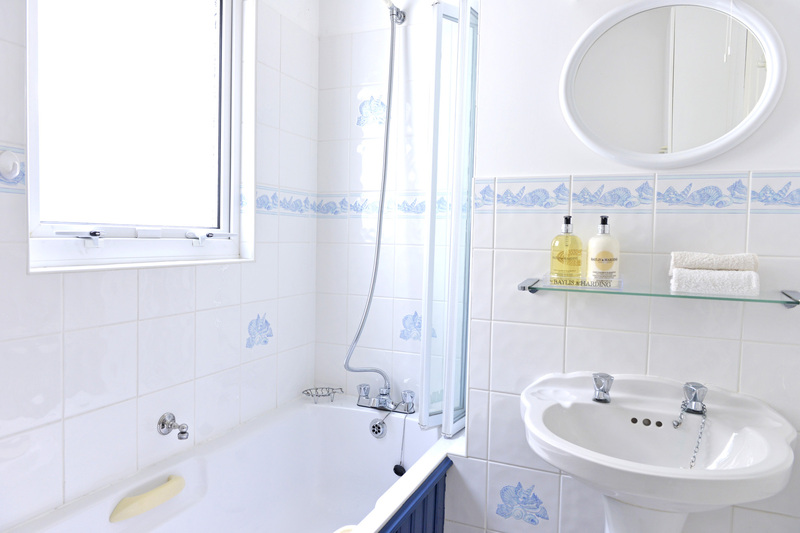 Bookable as a two-bedroom or three bedroom cottage, this flexible property can suit different sized groups looking for holiday cottages Pevensey Bay. 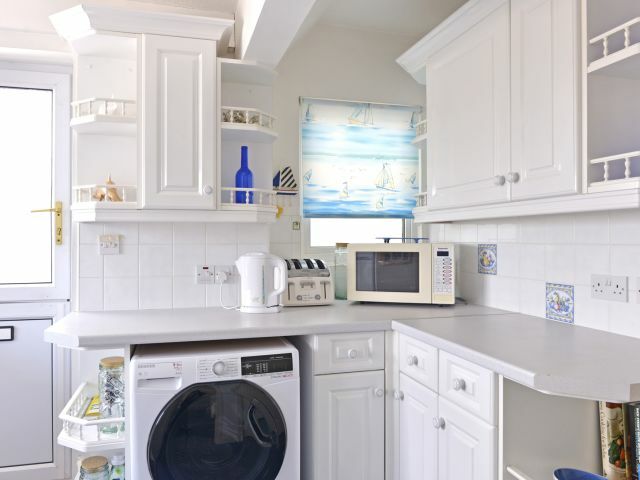 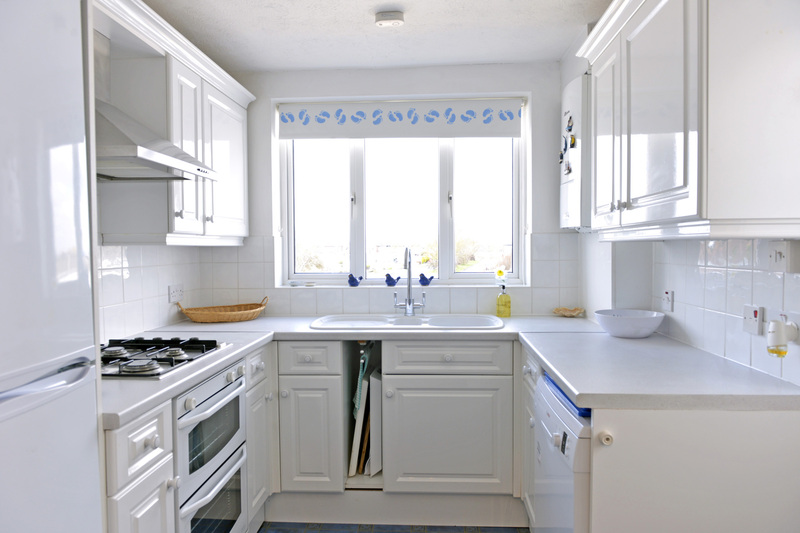 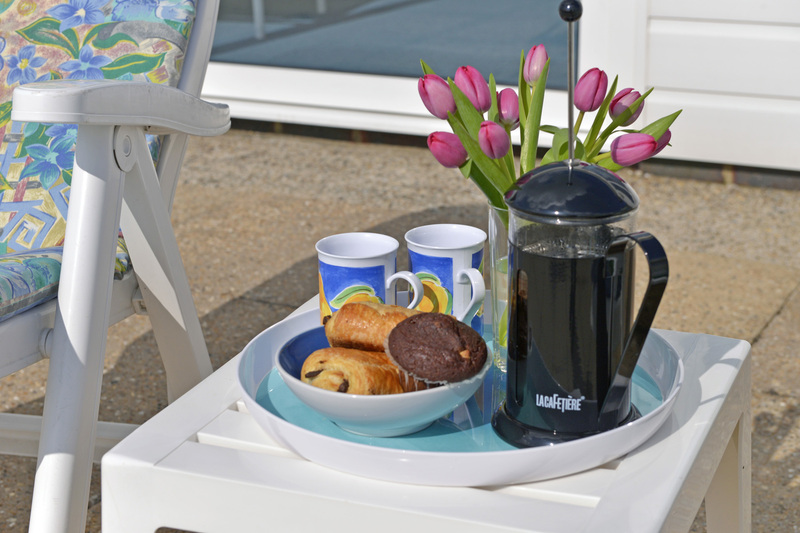 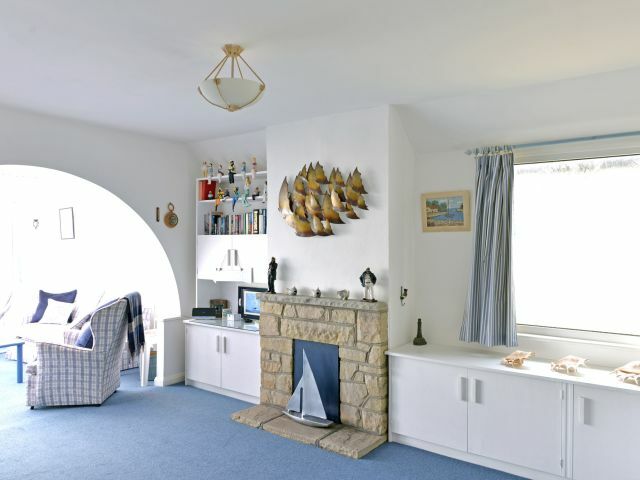 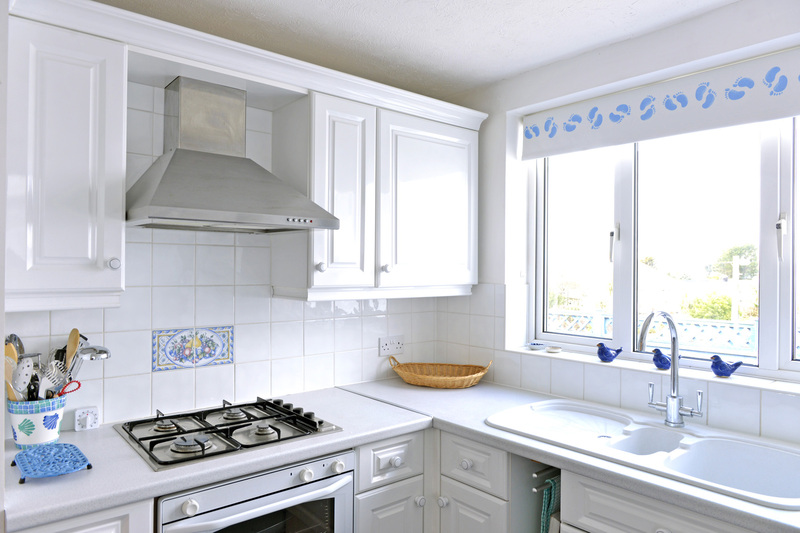 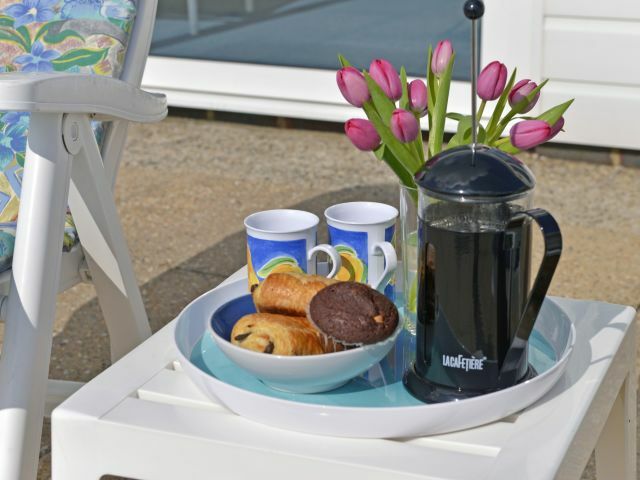 Beach Cottage is reached by a flight of 18 steps from the road to the front door which leads into the well-equipped kitchen, with oven, hob, a fridge-freezer, dishwasher, toaster, kettle and washer-dryer and all the utensils you’ll need for a holiday on the beach. 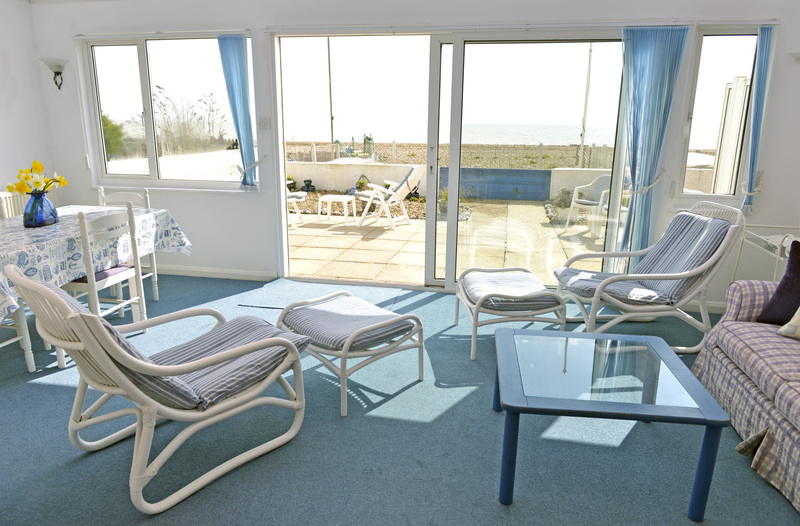 WiFi, towels and linen are provided (you will just need to bring your own beach towels) and there is parking for a car at the front of the property and additional spaces free on-street outside. 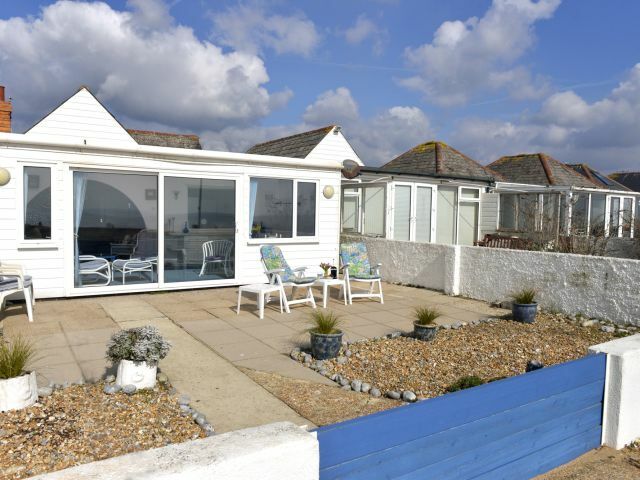 And if you’re looking for dog friendly beach holidays, a well behaved adult and neutered / spayed dog would also be considered (a £50 supplement applies), so there is no need to feel guilty about leaving four-legged friends back home. 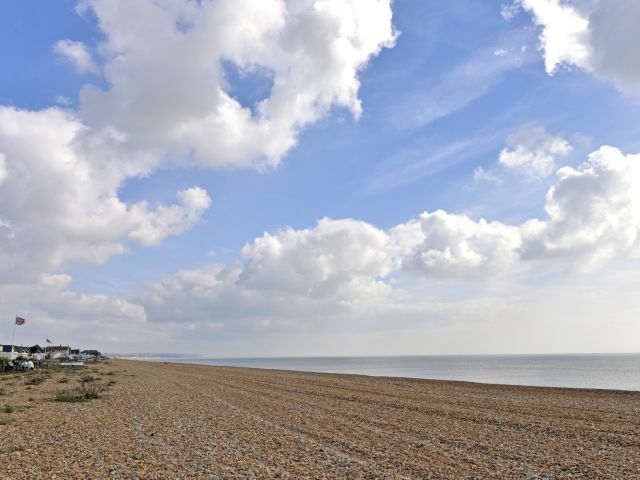 From Pevensey, it’s a very short 10 minute drive to Bexhill, where you can find the De La Warr contemporary art gallery and performance centre, with its chic cafe overlooking the sea. 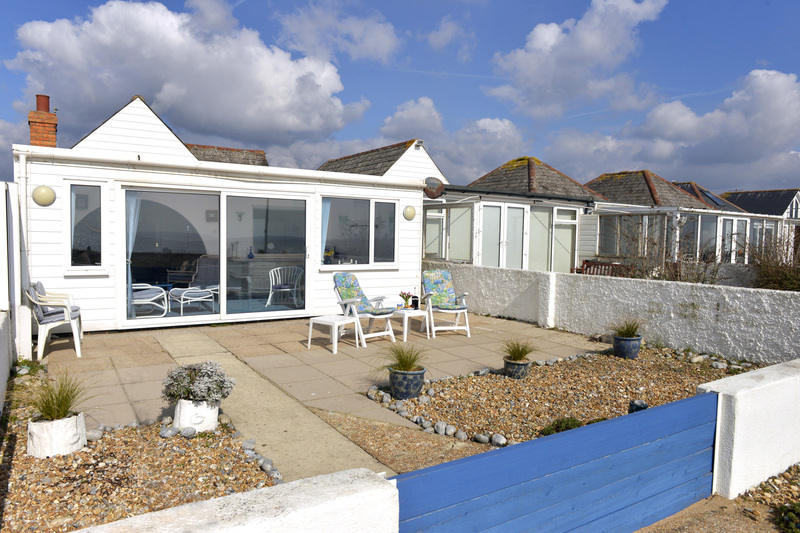 Great location right on the beach - just walk out the back door and straight on to the pebble beach. 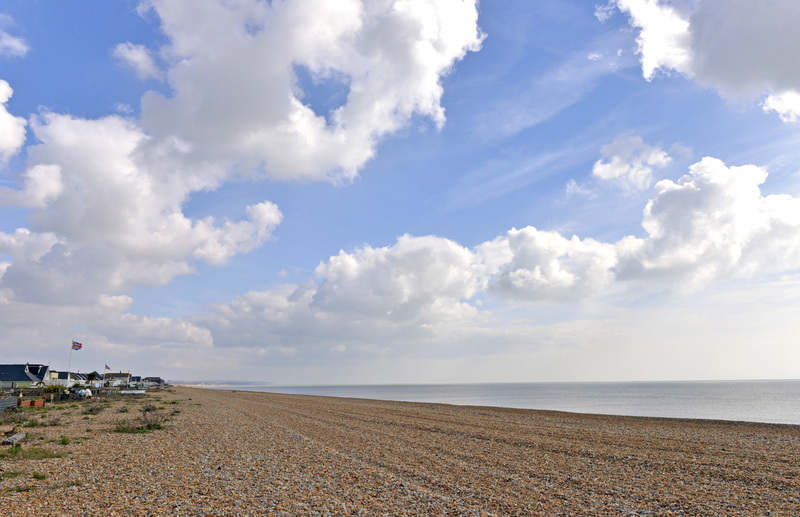 Great location for all local attractions - in 3 days we did Eastbourne, Hastings (including the excellent 1066 English Heritage site), Camber Sands, Lewes and Bodiam Castle. 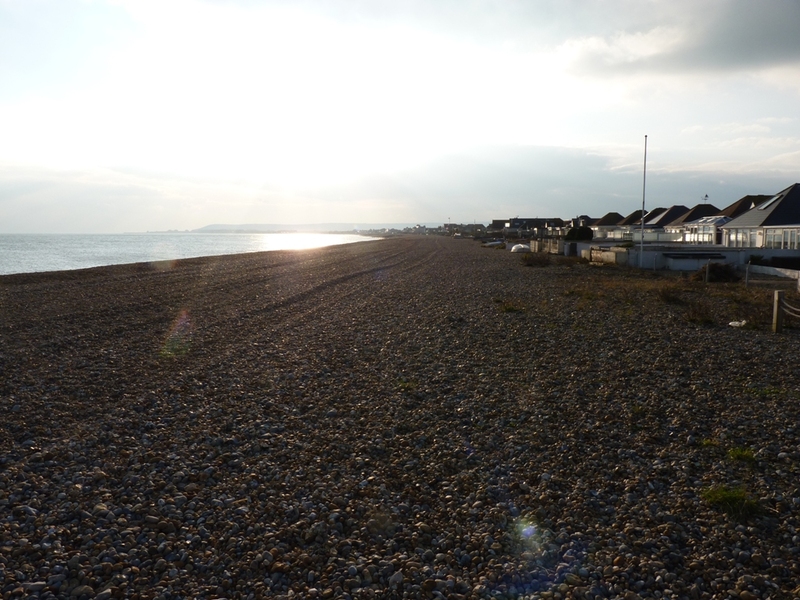 Good car parking available off road. 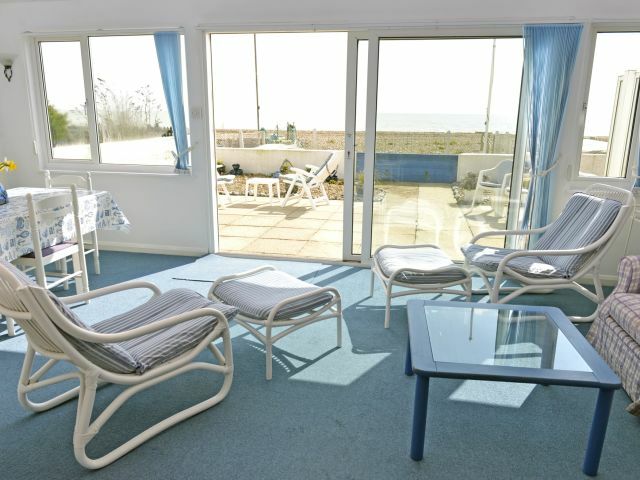 We had a great week here, it’s spacious, comfortable and well-equipped. 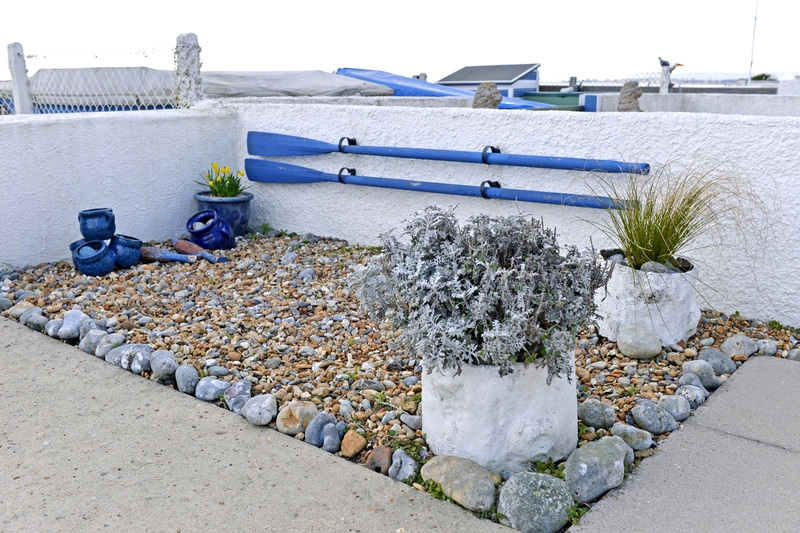 Carl and Sharon were friendly and helpful. 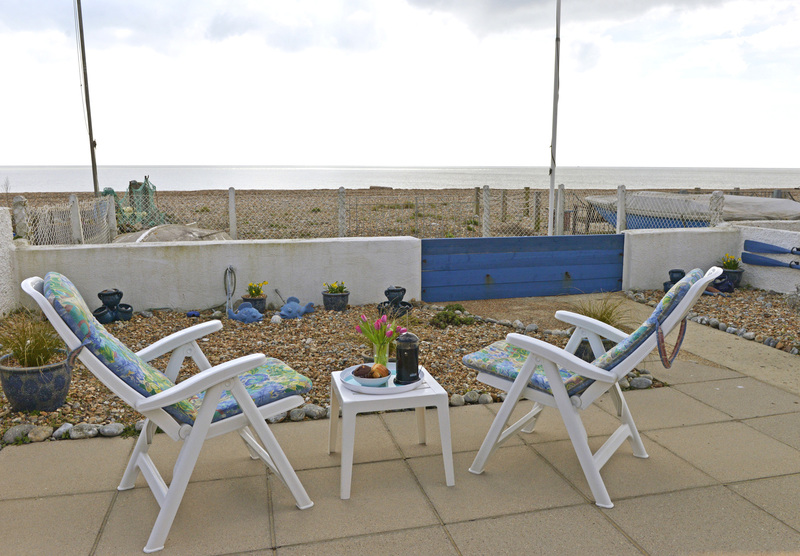 What a luxury to step straight out onto the public beach from the big patio! 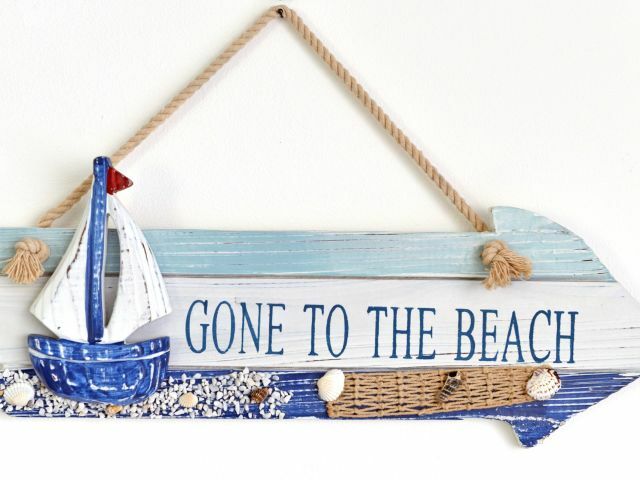 Would love to return. 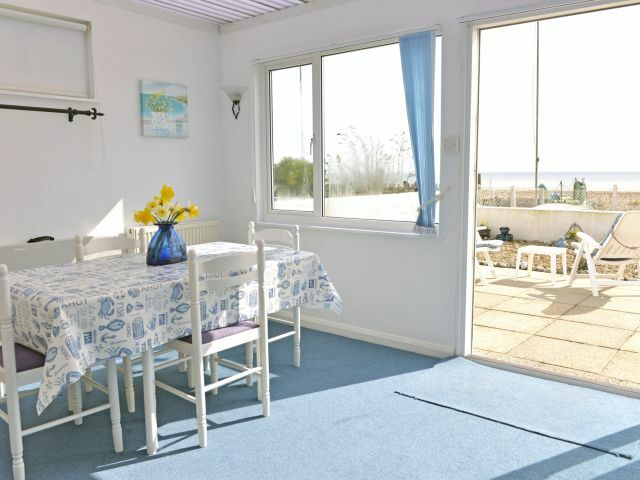 Nice, clean and cosy Cottage; beach very good for swimming! 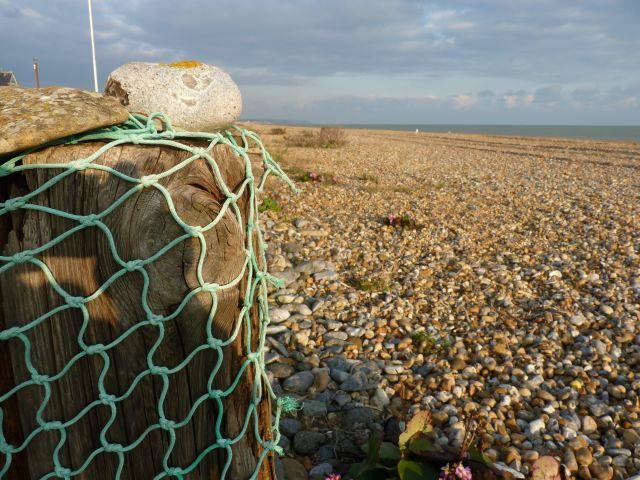 Wonderful little find. 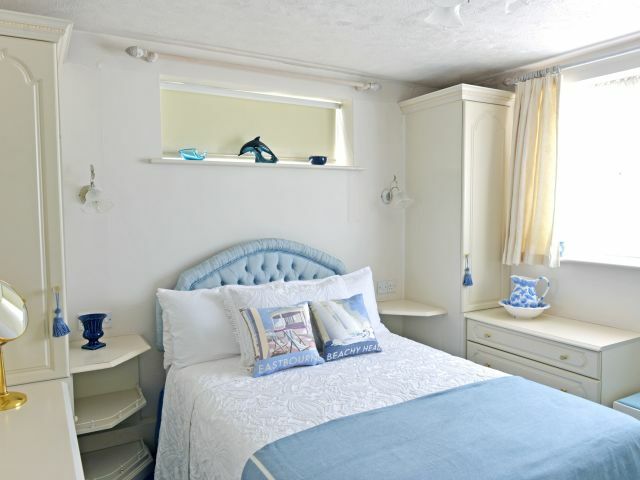 What a wonderful relaxing little cottage! 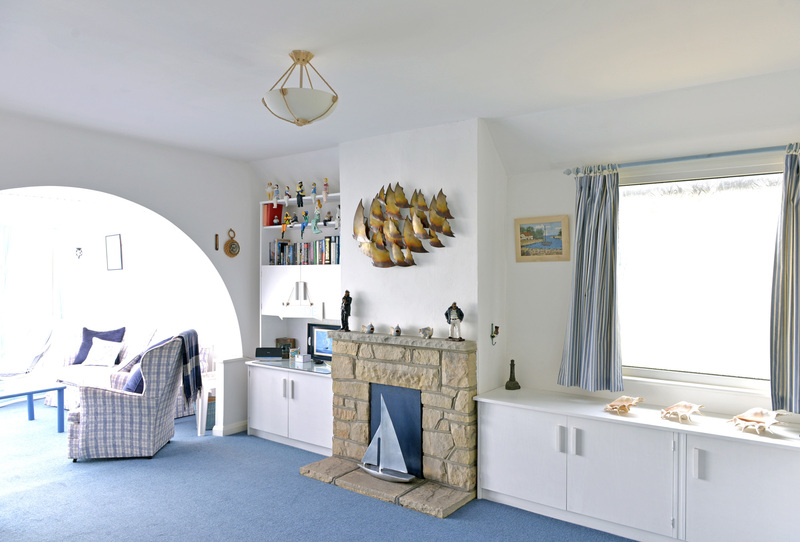 Spacious and bright and a home from home. 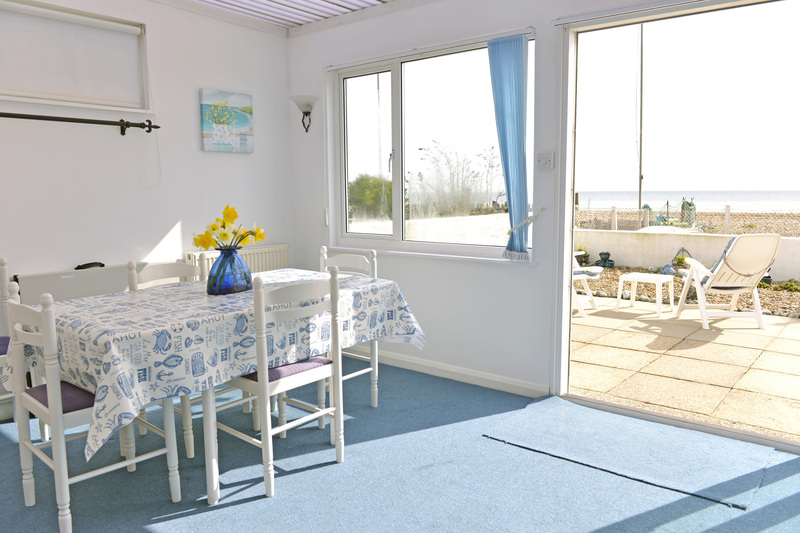 Good size rooms and love the patio leading onto the back garden which felt like my own personal beach. 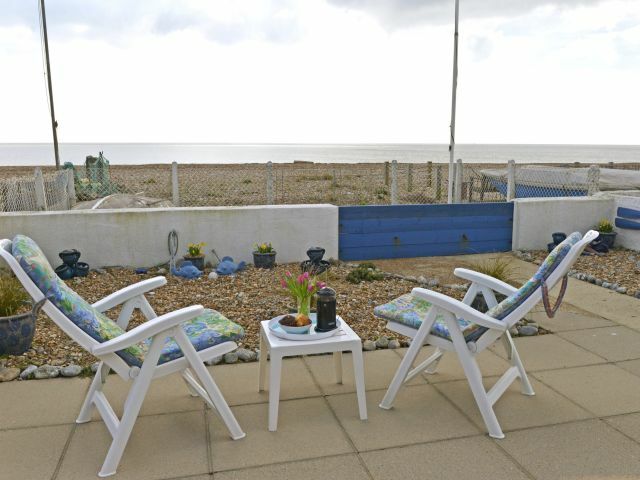 Perfect location on the beach too! 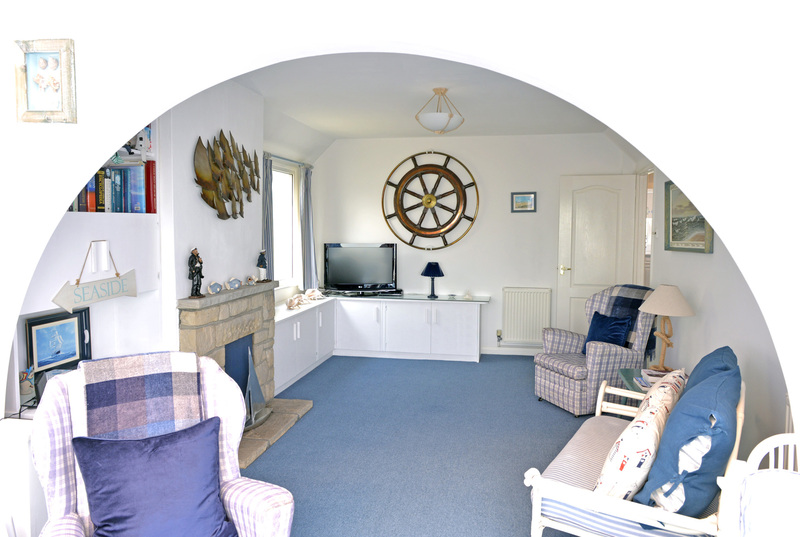 Near enough to walk into town if you are not too relaxed staying at the cottage to move ;-) I would highly recommend this property for couples, families and dog owners! Amazing place and a wonderful location. 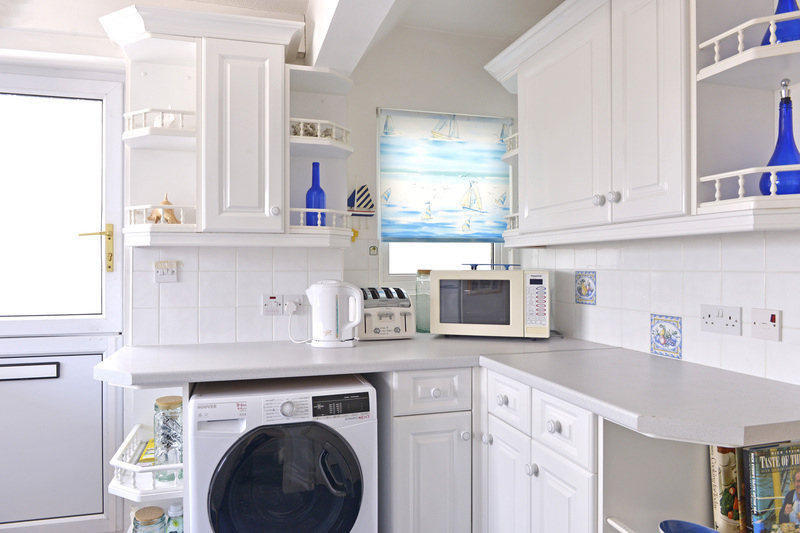 They were so friendly and helpful before and then when I arrived. 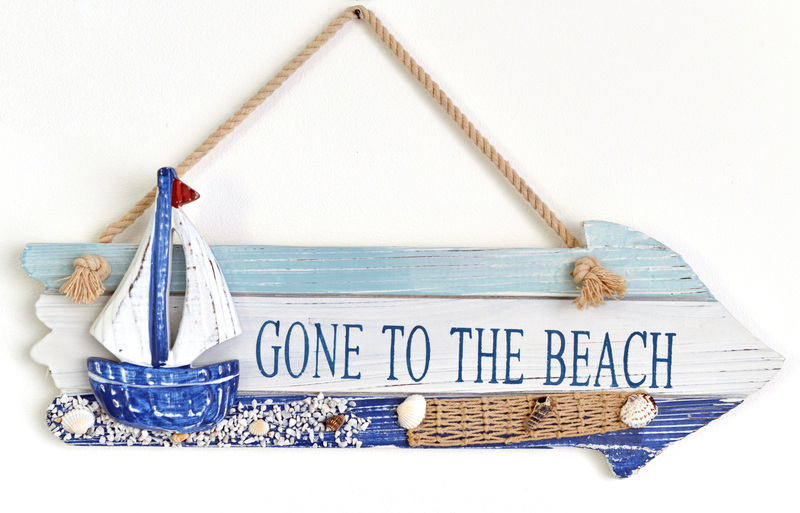 I'm already planning my next trip there.